If I had to describe this movie in one word, that word would be "Beautiful". The Russo Brothers pulled off a masterpiece, I was sceptical about how they could manage to not make another Avengers movie considering the sheer number of superheroes packed into this movie. And for the most part, The Russo brothers filed it down to being about Steve Rogers not even the giant shadow of Robert Downey Jr could change that. The fight scenes was stellar and more watchable than Batman vs Superman (The final fight between Doomsday and the DC movies was a bit too fast paced that you could easily miss it if you blinked which was kinda the same problem I had with Man of Steel). I think Marvel has perfected it's formula on how the action scenes in movies should be, in spite of their sheer number, every superhero managed to get ample scene time. It was amazing how easily the Russo Brothers pulled off a more compelling versus movie than Zack Synder did with Batman vs Superman. For me the stand out character has to be Bucky, he's been stellar in both Captain America i he's featured in. Black Panther also impressed, I think Marvel has another movie hit with him. 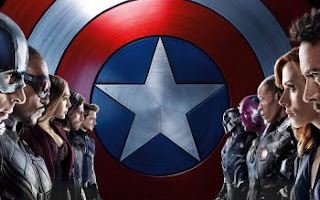 The fight between Bucky, Cap & Black Panther was really great watch, absolutely loved it. Black Widow really held her own (she's easily the most skilled fighter). A Black Widow movie needs to be greenlit ASAP, considering Lucy did very well, I don't see why a Black Widow movie wouldn't do well. Tom Holland as Spider-man was close to perfect, his portrayal was the closet to the comic books we've ever had besides being beat by Captain America. Overall Captain America: Civil War is a great movie to watch. The writers kept the movie was simple as possible, audiences would find the movie far more enjoyable than Batman vs Superman.